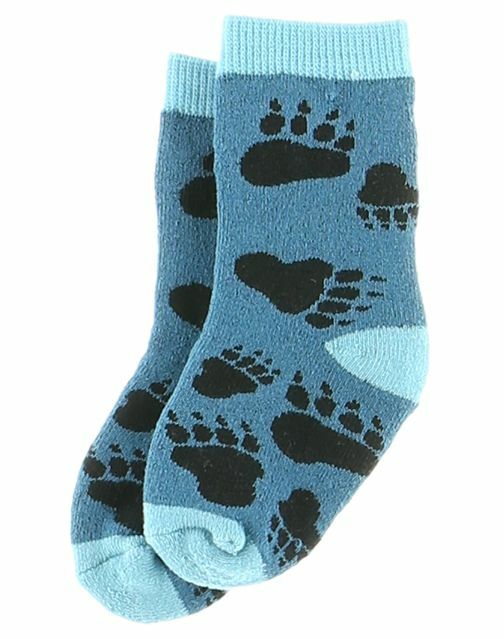 Blue Bear Hug socks. Our comfy, infant socks are bright, colorful and just a little "wild". A comfy blend of 75% cotton and 15% nylon. They come in sizes small (6-12 months) and large (12-24 months).